Heat oven to 350°F. 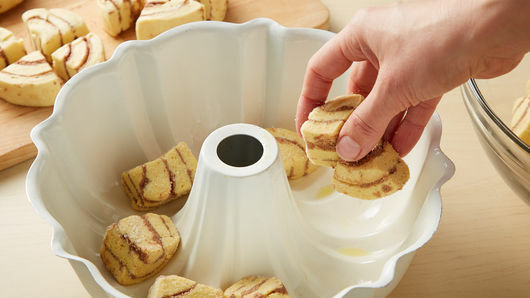 Generously grease 12-cup fluted tube cake pan with shortening or cooking spray. Set aside icing from cinnamon rolls. Separate each can of dough into 5 rolls; cut into quarters, and place half of the dough pieces into large bowl. Add 2 tablespoons of the sugar; toss to coat well. Place in pan. Toss remaining dough pieces and 2 tablespoons sugar to coat well; set aside. Place berries in small bowl; add remaining 1 tablespoon sugar to berries, and toss to coat. Sprinkle berries in pan; top with remaining dough pieces. Sprinkle any remaining sugar on top of dough in pan. Pour melted butter over top. Bake 40 to 45 minutes or until deep golden brown on top. Cool 10 minutes; run knife around edge of pan to loosen. Place heatproof serving plate over pan, and turn over, tapping pan several times. Remove pan; cool 10 minutes. In small bowl, mix reserved icing, cream cheese and almond extract. Drizzle some of the icing over top of bread, allowing some to drizzle down sides. Top with additional berries. 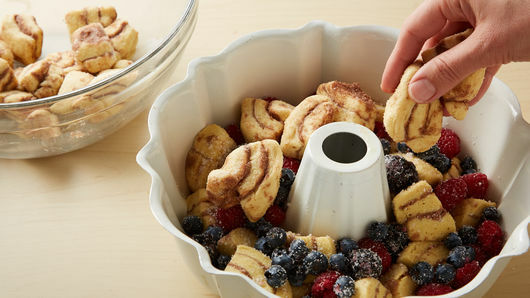 Pull apart to serve; serve warm with remaining icing. Spraying the pan generously with cooking spray will help avoid any sticking issues. 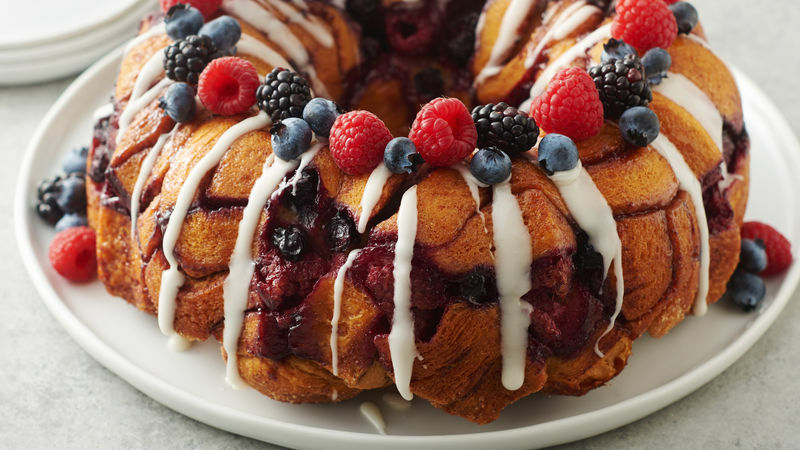 Instead of mixed berries, use your favorite type of berry in this recipe. 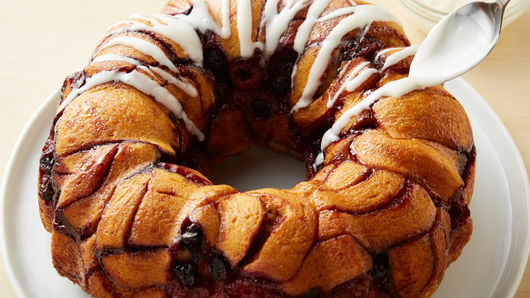 Store any leftover monkey bread loosely covered in the refrigerator.